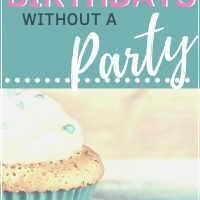 Are you looking for special birthday ideas for kids other than a party? Do you want your child to feel celebrated without causing you heaps of stress? Kids birthday parties have gotten completely out of hand. Celebrating birthdays shouldn’t require taking out a second mortgage and planning it shouldn’t feel like an anxiety attack! SHORT ON TIME? 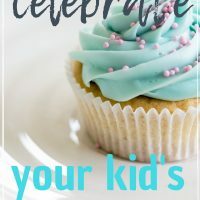 SAVE TO PINTEREST NOW & READ ABOUT SPECIAL BIRTHDAY IDEAS FOR KIDS LATER! Maybe it’s just me, but the pressure of planning and throwing a birthday party is so stressful! I have hosted many birthday parties for my two older sons and the tension, money and time spent was ridiculous! Now, with the twins, it’s doubly overwhelming to think about throwing a birthday party. They are turning 6 years old and they go to different schools. That means that Beckem (my sweetie who has a very rare disorder, KAT6A, and is minimally verbal) has 15 kids to invite and Adler has 17 kids to invite just from their classes. That’s not even counting our little friends from church or play dates. Then, parents will obviously feel obligated to bring a gift for each boy and that just seems like a burden that I don’t want to put on others. And what if Adler has 10 kids show up and Beckem only has 1 friend that comes to the party—or zero! Oh my goodness, the stress! I am on a mission to do birthdays without pressure! The good news is that you don’t have to throw an elaborate birthday party for your kids to feel celebrated on his or her special day. You can make special memories without draining your bank account and without all the stress. You can pick and choose and mix and match from these non-party ideas. We do many of these to make the birthday special all week long! 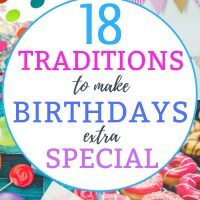 There are many unique ways to make your child feel cherished on his birthday without a party, and you will be making wonderful memories and creating lasting traditions as well! Birthdays can be tough on the budget, especially if you have multiple children. All of our kids have birthdays that are close to each other AND close to Christmas holidays, so it can really be difficult on the finances. But, with a little bit of imagination, you can create beautiful birthday memories—even on a tight budget! The twins LOVE to countdown to special occasions! We usually make a little calendar and put it on the fridge. When they wake each morning, they excitedly mark off a day, then count how many days are left until their birthday. 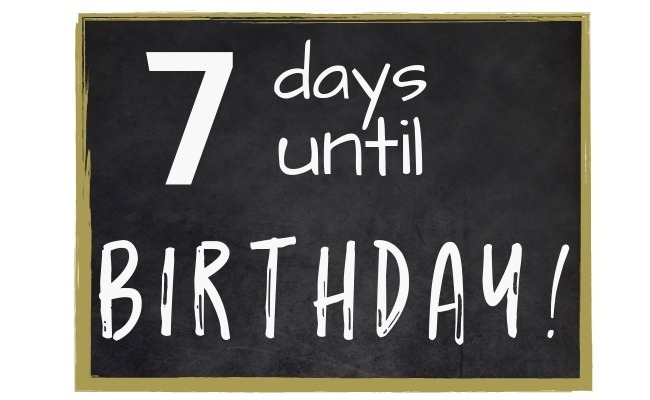 A chalkboard is another great way to do a countdown to the big day! All four of my boys cherish this birthday tradition, and a walk down memory lane is my favorite part of my kid’s birthday. I bring out pictures from when they were born, their first outfit, blankets….all of the special keepsakes from the day they were born. Then we talk about the beautiful memories from that day. They never get tired of hearing about how they entered this world. 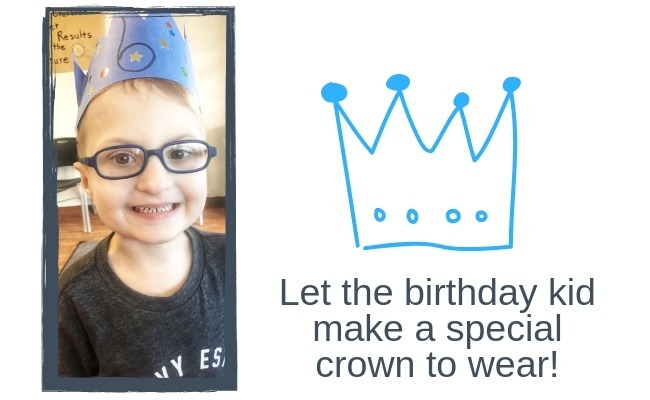 You probably already have everything you need to make a crown for your birthday child. We made ours with construction paper and tape, and the boys decorated with stickers. You can also find cute crowns on Amazon if you don’t want to go the diy route. Such a super simple way for your kiddo to feel like a prince or princess on their birthday! After the kids are in bed the night before their birthday, I like to put up some birthday decorations that they get to wake to! I might print a few “Happy Birthday” signs and put one on the bathroom mirror and another on the fridge. Kids love to see their name and their new age displayed! 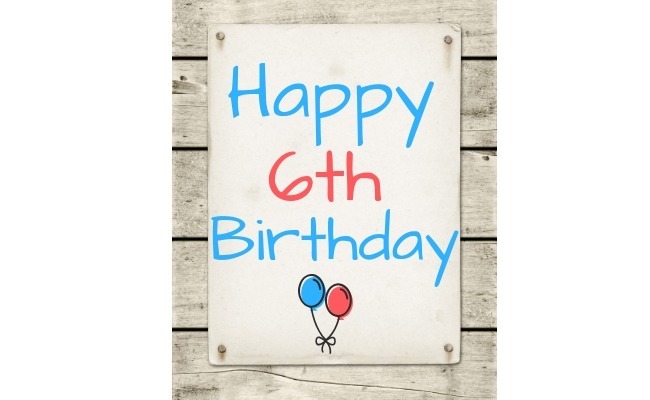 What kid wouldn’t love a fun birthday banner? You can easily make a paper banner to hang up, or if you’re feeling crafty, you can follow my super easy diy birthday banner tutorial to make one of fabric that will last for years. 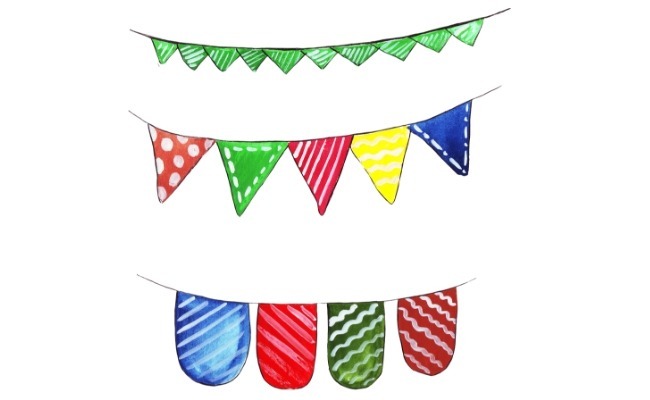 You can also buy a fun birthday banner if you aren’t feeling up to the do-it-yourself. I made our birthday banner about 6 years ago with fabric scraps from our wedding napkins and some of the boys’ baby blankets. I bring it out and display on the mantle for everybody’s birthday! If your child has school on his birthday, you can surprise him with a special treat in the lunch box. How exciting to find a cupcake or favorite cookies! 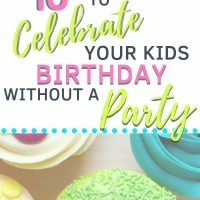 There are lots of special birthday ideas for kids that you can do without even leaving your home. Let your birthday babe choose a special birthday breakfast that you make. Sky’s the limit! You can serve the meal on a special birthday plate, add table decorations, and don’t forget the birthday candles! Most donut shops will make donuts in the shape of letters. You can have them spell out your child’s name or the words happy birthday. What a yummy birthday surprise! Most kids love balloons! Tie a few to his or her chair at the dinner table, and decorate throughout the house with fun colorful birthday balloons! Wrap several small gifts and hide them around the house, and send your birthday kid on a scavenger hunt! For an adorable free scavenger hunt printable, visit the blog, Love+Marriage and a Baby Carriage. If your kids are not reading yet, you can read the clues to them and let them find the gift. Scavenger hunts are such fun special birthday ideas for kids! Host a birthday lunch or dinner and invite relatives that are an important part of your child’s life. This is a great way to make memories with family and a lovely birthday tradition to begin. 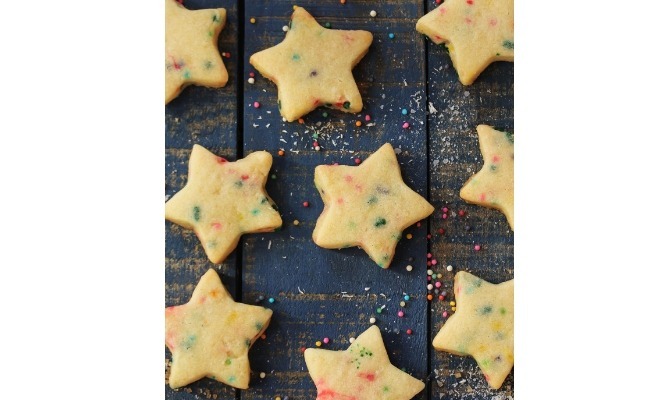 Let your birthday child bake and decorate his or her own birthday cookies! She can add icing and sprinkles and enjoy a delicious treat! Perfect for the kiddos who love to bake! 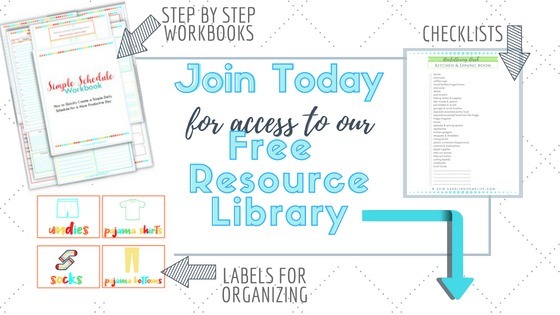 If you could use some help getting your mom-time organized, then be sure to read “Time Management for Busy Moms to be More Productive at Home“ & be sure to sign up to get the FREE Simple Schedule Workbook from the Resource Library! It will guide you through the easy steps to organize your time, responsibilities, family meals, & create your most productive daily schedule! There are lots of special birthday ideas for kids that involve an outing. You can find many options for fun little day trips or even a weekend outing to celebrate a birthday. This is a great alternative to a traditional party! You can combine an outing with some of the other ideas and have a fun filled birthday weekend! This is a special treat for our kids. We don’t go to restaurants that often so they love getting to choose dinner at any restaurant they want! Let your child choose a friend or two and take them somewhere fun for the day! You could take them bowling, to the amusement park, the zoo, or a hands on science museum. When the twins turned 4 we took them and their cousin out to lunch and to Build-a-Bear. They had the best time creating their very own Transformer and Superhero bears! Give your child an amount of money to spend and let them go on a shopping spree! Take them to their favorite toy store or Lego store and choose whatever gifts they want. Older kids may want to go to their favorite clothing store and choose the latest trends. The twins got to have a shopping spree this birthday and it’s so interesting to see how different their personalities are based on their choices. Adler chose Lego sets and Beckem chose books! 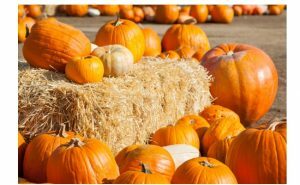 If your kid’s birthday is near a holiday, why not take them to do a festive activity? Since the twins’ birthday is in October, we have gone to the pumpkin patch for the day and had a blast! There are lots of events to choose from around the Christmas holidays too. Go to a nearby city and stay for the weekend! 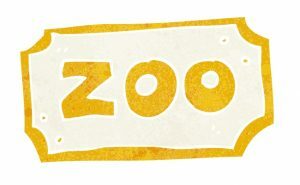 Go to the aquarium, a science museum, or the zoo. We found a great deal on Groupon a couple of years ago and spent the weekend at a hotel with a water park inside! I would much rather spend money on an enjoyable weekend getaway with family versus a stressful birthday party that’s over in two hours. Your child will be thrilled to share his or her special day with the entire class. You can take cookies or cupcakes for all of the kids! You could also put together little goodie bags for the class with play-doh, wikki stix, and other little surprises. What special birthday ideas for kids do you have? I love the idea of spelling out a name in donuts. How cute! As a kid and adult who does not like parties, I think these are all great alternatives. I am a huge fan of special breakfasts or even just enjoying a fun experience. For shy children, introverts, or children with autism, these are great suggestions too. Thank you so much, Christine! I don’t like parties either…so overwhelming to me. I love having an experience together and making memories! 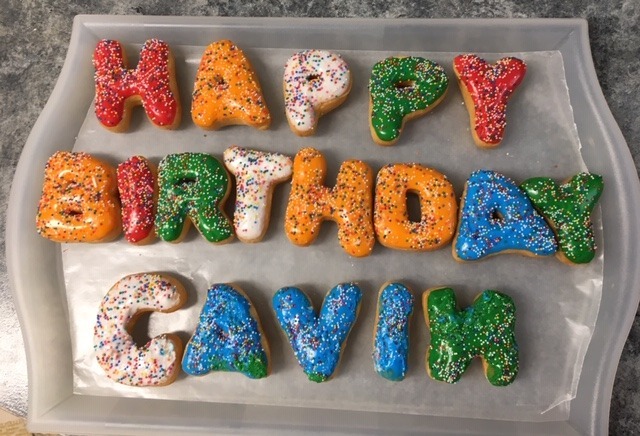 My foster child love seeing this pin with the donuts spelling out his name…Cavin. Awwwwww!!! I’m so glad he liked it! Great post! It’s hard to get out of the arms race of birthday parties. What do you say if kids ask about other kids’ parties? Thank you so much! We have attended birthday parties that made the boys kind of envious….when they say they want to have a party at the bounce house and invite a zillion kids, I just explain that we can certainly have a party at the bounce house but that means we can’t do _________. My 16 year old did have a couple of parties and when he was younger but quickly decided to go back to our special birthday traditions. I love this! I’m all for celebrating in ways that don’t cost an arm and a leg. 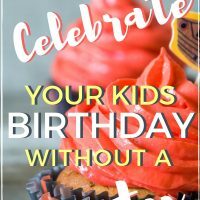 We usually do birthday parties, but my husband and I have talked about doing parties every other year and on the other year just doing special activities as a family. Thanks for the ideas! Thank you so much, Meg! I love that compromise of alternating parties with special family activities!